When’s the last time you went to your doctor’s surgery for a health check-up? In fact, have you ever been for one? According to the NHS, if you’re aged between 40 and 74 you should have a health check every five years, to check for conditions such as heart disease, type 2 diabetes and dementia. People under the age of 40 are still at risk but the older you are, the higher the risk of developing these conditions. The earlier these are detected by a healthcare assistant and managed, the better. Busy lifestyles mean that a trip to the doctor is often pushed down the priority list. So, recognising the importance in early detection, Vital Human Resources is bringing health assessments to its workforce. 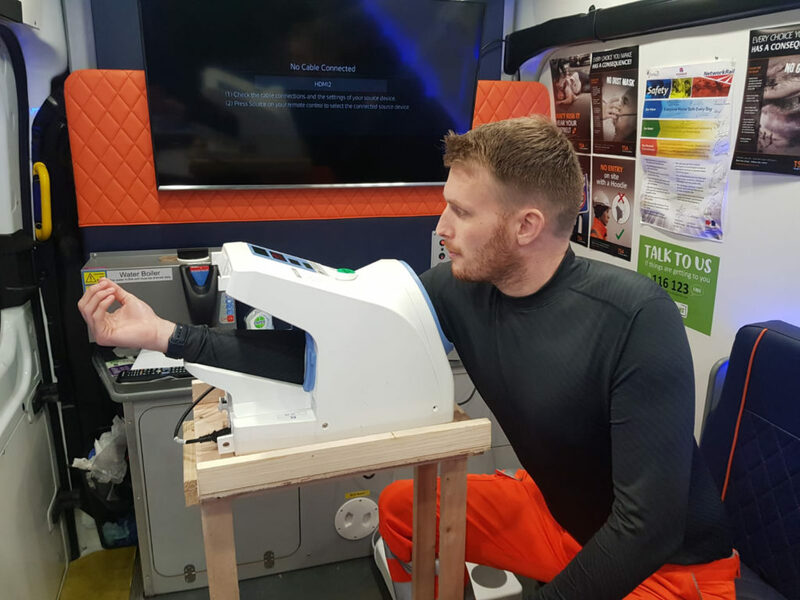 Since February, the rail company’s specially-trained health and safety (H&S) advisors have toured the country offering health checks to not only its own workers, but any industry colleagues who can be encouraged to step forward. They’re not intended to replace the NHS health check, but they’re an important part of beginning initial conversations. 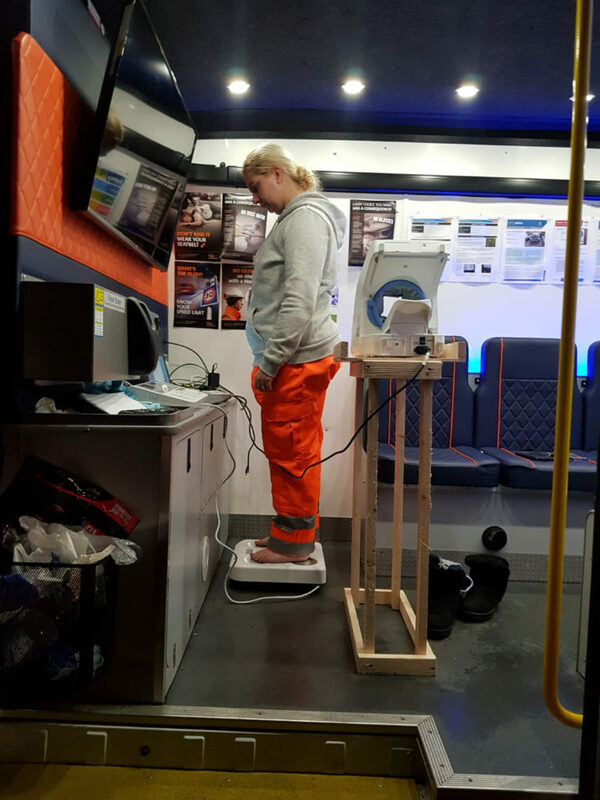 Blood pressure, body fat, visceral fat, body mass index, bone mass and metabolic age are all measured using health testing equipment, which has been rented from service provider New Leaf Health, by having workers place their arm into one machine, step onto another and also input data such as height and age into a computer programme. After the five-minute test, results are privately fed back to the user by H&S advisors, who explain what the information means and what they should do to reduce potential health risks. 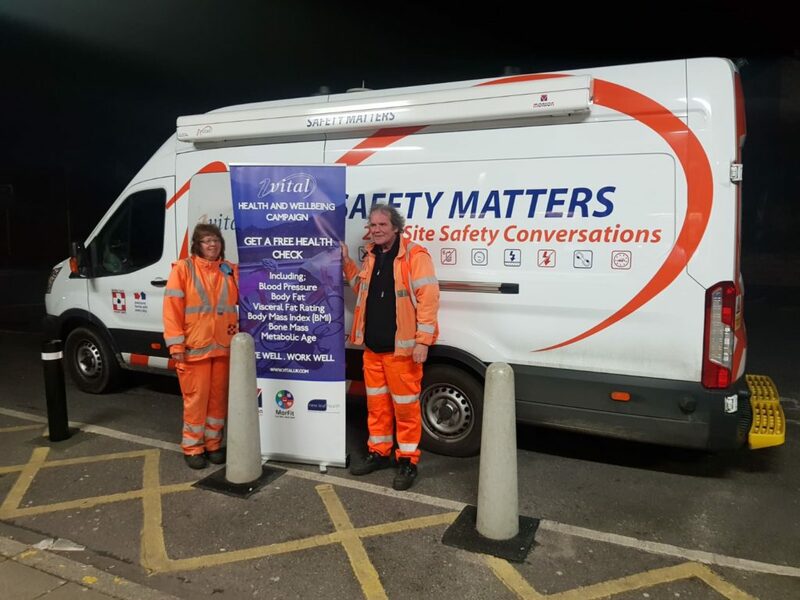 For Vital, which has supplied skilled staff to a number of industries since 1983, it’s about putting words into action, as H&S manager Mark Barrett explained. This year the rail company is planning three major health and safety campaigns: the health check roadshow; a focus on one of the industry’s biggest risks, fatigue; and another, which is yet to be decided. “You hear these things about health and wellbeing being at the forefront of everything but do we pay a little bit of lip service to it or do we physically do something about it?,” said Mark, who has a background working in human resources in the military and private security sectors. “I wanted to physically do something about it, to show we have the interest of our workers at heart. Mark said the machine is a great tool for starting some important but sometimes difficult conversations around worker health. “Some people can be very nervous. You say ‘Look, just come in and just have your blood pressure done, just come in and we’ll do that,” Mark added. “Then when you’ve got them there you say ‘Why don’t you jump on?’ The key thing for them is I don’t keep any results. They are personal to the individual. A particular draw for workers has been the calculated metabolic age, with some 40-somethings earning bragging rights for having the body of someone much younger. Such is the excitement surrounding the machine that Vital is in the process of purchasing a machine as part of its ongoing health and wellbeing programme. More than 200 checkups have already taken place since the health machine first hit the road, including on senior leaders at a recent meeting of the Track Safety Alliance. Brian Paynter, project director at Network Rail, left a glowing endorsement of the machine and Vital’s scheme. Overall, the rail industry is determined to take on more responsibility for worker health and wellbeing, a drive Vital is committed to.